Some pets live with so much pain that they eventually stop moving altogether, but we are here to help them get back on their feet. 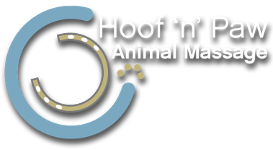 At Hoof 'n' Paw Animal Massage, we offer a variety of massage services to pet owners in the greater Denver/Boulder/Evergreen, Colorado metro areas, including dog massage therapy and horse massage therapy, cold laser therapy, acupressure and much more. 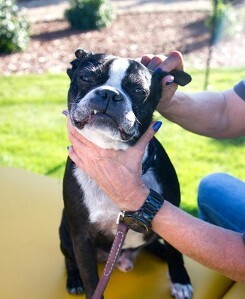 Each of our treatments last approximately one hour, and when we are done, your pet is sure to feel amazing. Whether your animal has arthritis, a soft tissue injury, or is perfectly healthy, a therapeutic massage will help them achieve or maintain perfect health. 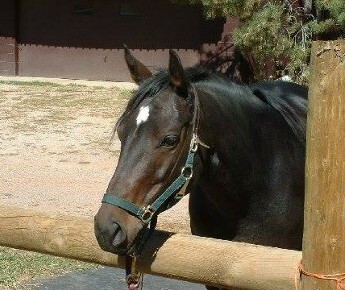 Our dog massage therapy and horse massage therapy are great for every age and health level. This form of therapy goes a long way in easing pain and stiffness, and it is specifically geared towards your animal's needs. With the help of our certified therapist, your pet can make exceptional physical and emotional gains. For those animals that compete or exercise often, regular sports massages are an ideal approach to preventing injuries before and after workouts. This form of therapy helps to warm up muscles prior to events, gives your animal a competitive boost, and lessens soreness after strenuous training. Contact Us For More Information About Our Dog Massage Therapy Or Horse Massage Therapy Today!